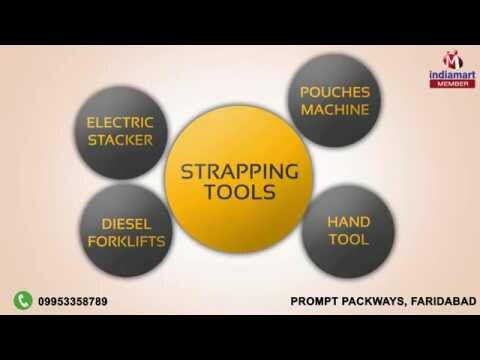 Welcome to Prompt Packways, established in the year 2009, we are one of the leading organizations engaged in distributing, wholesaling, trading and supplying a comprehensive collection of Industrial Packaging Machines, Tools and Consumables. Our products range include Material Handling Equipments, Packaging Machines & Pouches Machine. Our consumables are known for their self adhesiveness, moisture resistance and high tensile strength. In addition to this, our machines are widely appreciated by the customers due to their longer service life, abrasion & corrosion resistance, robust construction and less maintenance. Our team uses all the available resources for carrying out business operations smoothly. It also helps us in maintaining long term friendly relationships with the customers to understand their exact requirements & demands in a better way.